The second bi-annual Trivia Night Fundraiser, hosted by Old Mission Women’s Club, is happening on Friday, April 26, 2019, 6 p.m. to 10 p.m. at the Traverse City Golf & Country Club. Everyone is invited to participate, so gather your friends and family, form a team and jump in. Organizer Janis Haine says teams of six are ideal, but teams may also consist of four members or a maximum of eight. 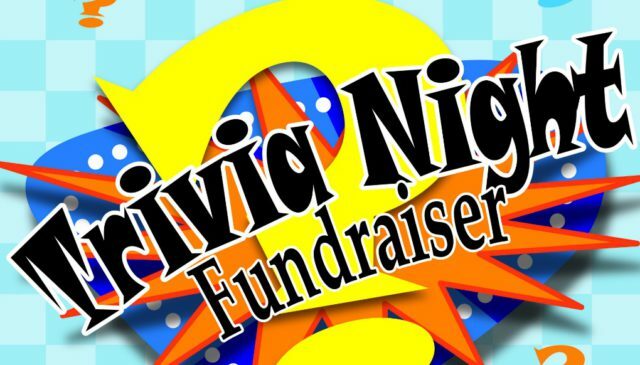 The entry fee is $35 per person, which includes a dinner buffet and the opportunity to win prizes and raffle items (a cash bar is also available). All proceeds will benefit the Old Mission Women’s Club’s philanthropic efforts, which go to support local non-profit organizations. 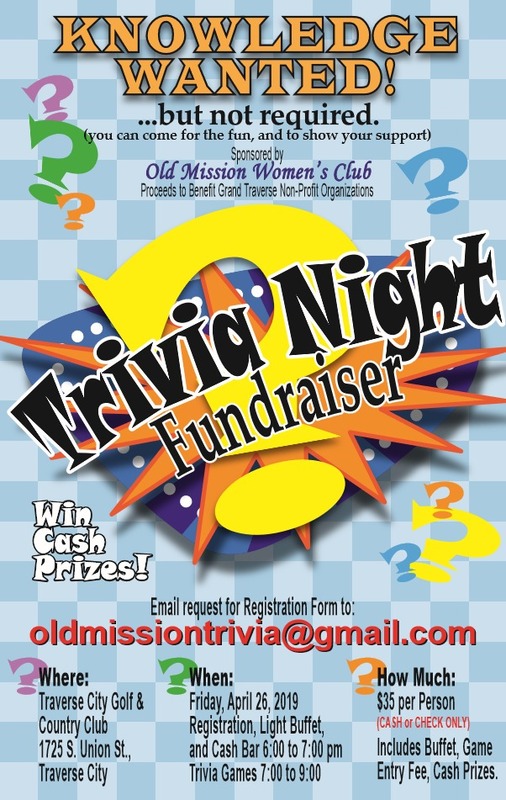 Email oldmissiontrivia@gmail.com for more information and a registration form.